As any business owner should know, the trick from being a small business to a successful empire is simply exposure. Online advertisements. Live events. Word of mouth. Social media. These are all ways that get people to start recognizing your name and knowing what your business is all about. 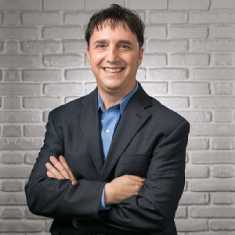 But right now, you’re at a disadvantage, because if you put everything into numbers, you’d know how far behind you are to your rivals — especially those who have the money or who’s been in business years before you started. That’s why it’s the perfect time for you to start blogging on Medium, a place where 76.3 million people have come to read great stories (based from SimilarWeb on February 2016). Medium is still a relatively new platform, and not many businesses have discovered or fully utilized it to their advantage. Which is why today, we are going to create a Medium account that can heighten your exposure and bring you an incredible amount of traffic to your business. Sounds good? Well, let’s begin! First things first, go to Medium. You’ll need to sign in using Twitter, Facebook, Google, or your email address. 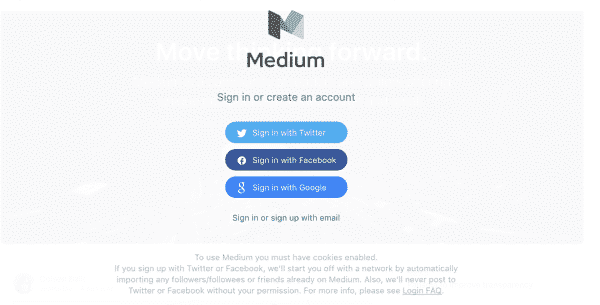 If you choose Twitter, Facebook, or Google to sign in, you’ll need to provide your email address, your name, and desired username (this will be your profile: https://medium.com/username). 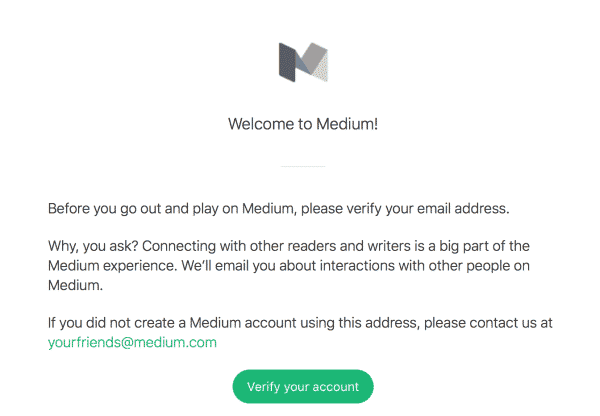 You’ll receive an email from Medium to verify your account. Verify to continue creating your account. 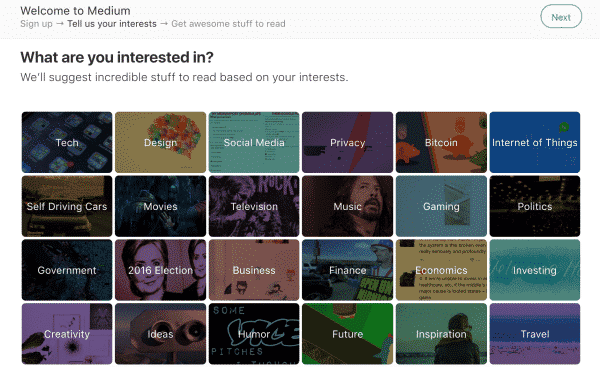 Medium will then ask you to choose your interests and suggest a few top people and publications to follow. Note: Suggestions will change depending on your interest choices. Once you’ve chosen everything, you’ll be on the homepage. On the top right corner of the homepage, click your profile image -> Profile to go to your profile. Click the Edit button to edit your name, bio and profile image. Pro-tip: A great strategy to bring more people to your site is to add your business URL in your bio. This will automatically be hyperlinked after you hit Save. 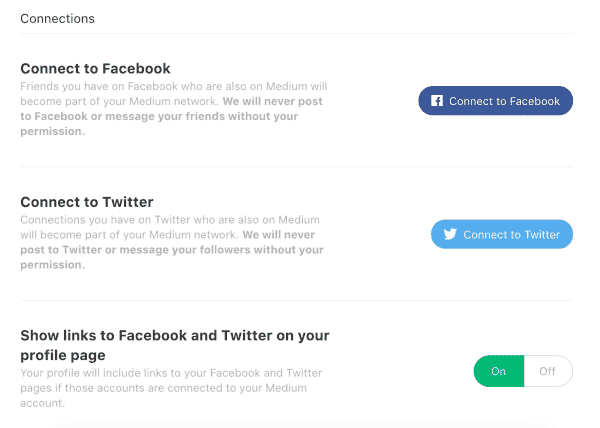 When you link your Facebook and Twitter account to Medium, you’re not only giving people a portal to visit your social network. 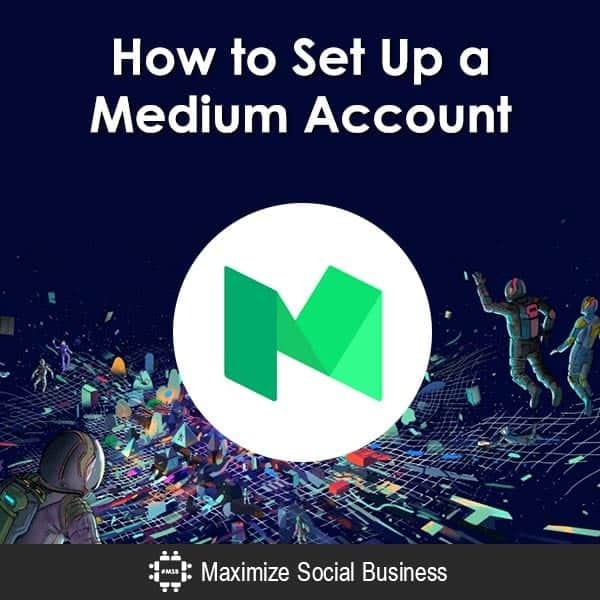 You’re building a bigger Medium audience instantly — anyone following you on Twitter or Facebook who already has a Medium account will automatically follow you on Medium. To set this up, click Settings in the menu under your profile image. Scroll down to Connections, and connect to Facebook and Twitter. Note: Make sure you turn on Show links to Facebook and Twitter on your profile page if you want these social media links to show up on your Medium profile. You should also check the other settings to set email, social, and other notifications. Now that everything’s set up, it’s time to roll up your sleeves and start writing. Click Write a story on the top right of Medium homepage. 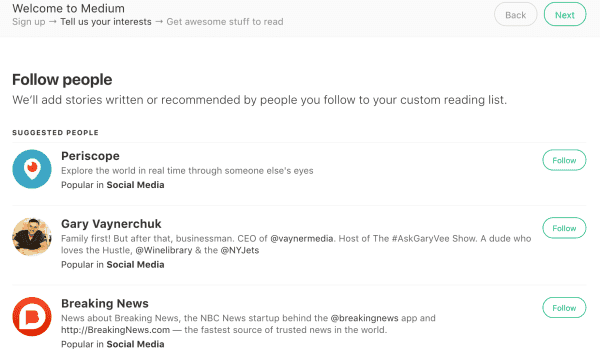 You’ll see how simple Medium’s interface is. It’s purely designed to minimize distractions and help you focus on the most important thing: content. Once you start getting familiar with the writing basics on Medium, you can try these advanced keyboard shortcuts. 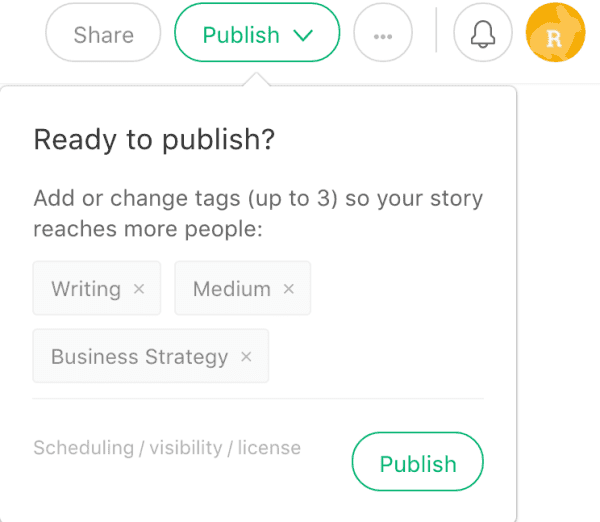 When you highlight a word or phrase, Medium gives you a few editing text options. Drop cap: A large capital letter at the beginning of a text block that stretches as far as two or more lines of regular text. Private notes: Allows you to write a personal note to yourself. Pro-tip: People tend to click more when you embed links onto your Medium post, as it expands into an attractive box with an image and brief description of the site. You can even mention other Medium users on your post by adding @username. They’ll immediately get notified unless their settings are off for ‘mention notifications’. Before you publish your story, add tags that best describe your content. You can also schedule when you want to publish your post and whether to make your post public or unlisted. Unlisted stories will only be visible to those who have the link, and won’t be shown on your profile. For licensing, you can choose to copyright your content, give some permission for others to share your content if they credit you, or share it with Creative Commons. 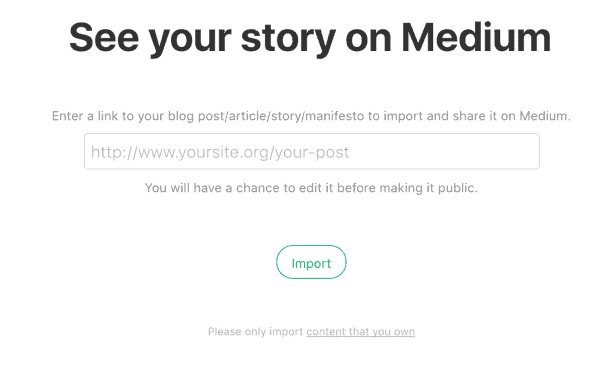 If you have content you want to move from your site onto Medium, you can import stories. 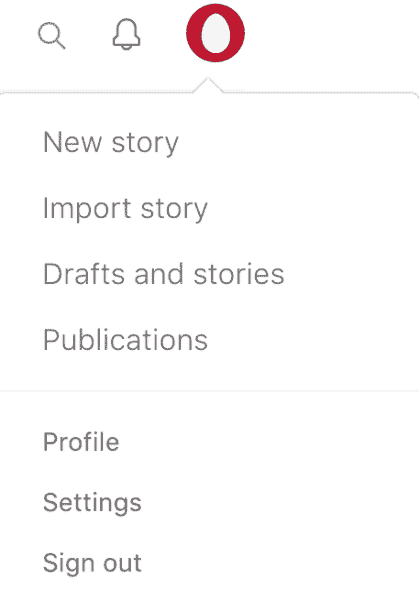 Click Import story in the menu under your profile image. Enter the blog article URL you want to import. From there, you’ll be able to edit your post. Do know that some things don’t transfer, like images and charts. So be sure to add in any missing elements from your original post and polish up the layout (if necessary). With Medium, you have another channel that can bring in hundreds, if not thousands, of people to your site. 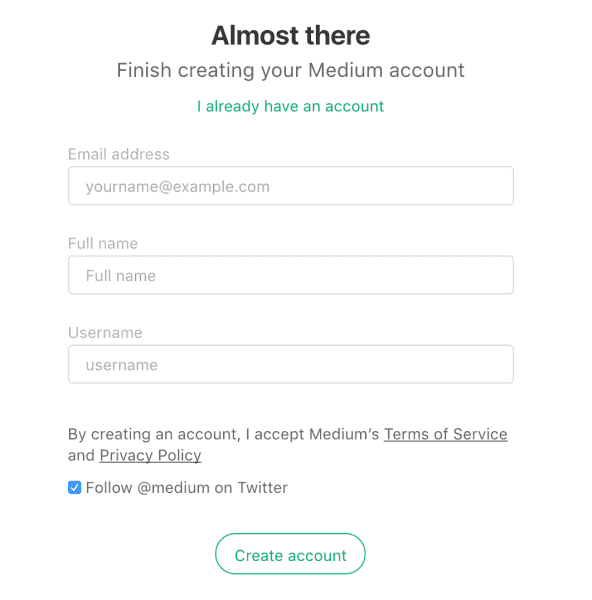 All it takes is the first step: setting up your Medium account. Hello, after I put my publication online and sent it to my friend to view it. But it went to suspended page and unavailble since then. So do you know what’s the problem about? Very clear explanations and guide. Thank you. I appreciate the attention to detail,the pro tips and infographic type screen shots – feel ready!